To me there is nothing (well, very little!) 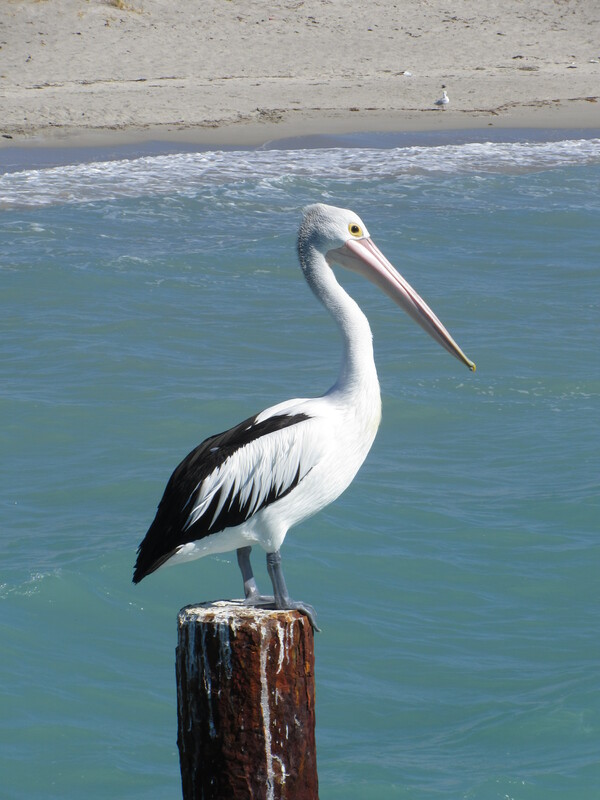 that depicts beach and ocean better than pelicans. 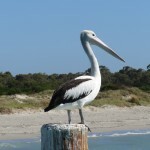 That’s why I think that pelican decorations are the ultimate coastal decor! 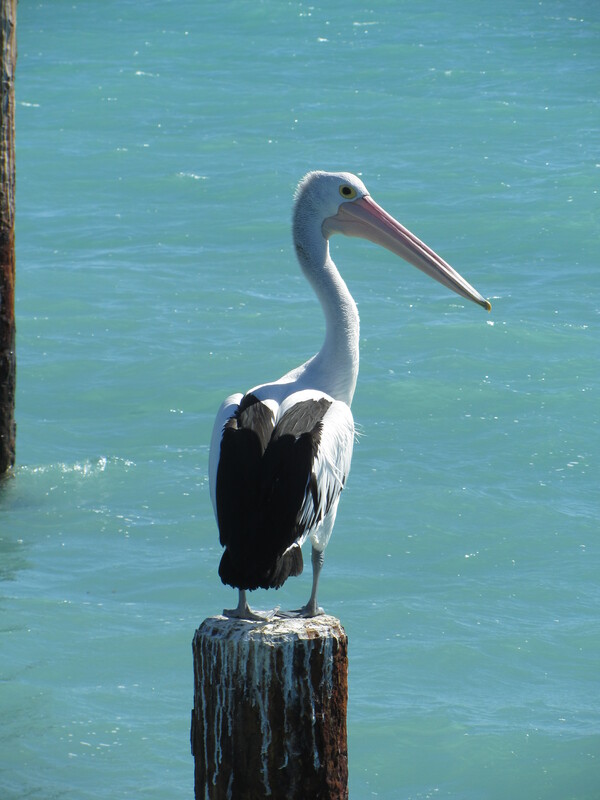 Pelicans are magnificent creatures that look kind of plump but are at the same time very graceful when flying or bobbing in the sea, and they are just adorable! 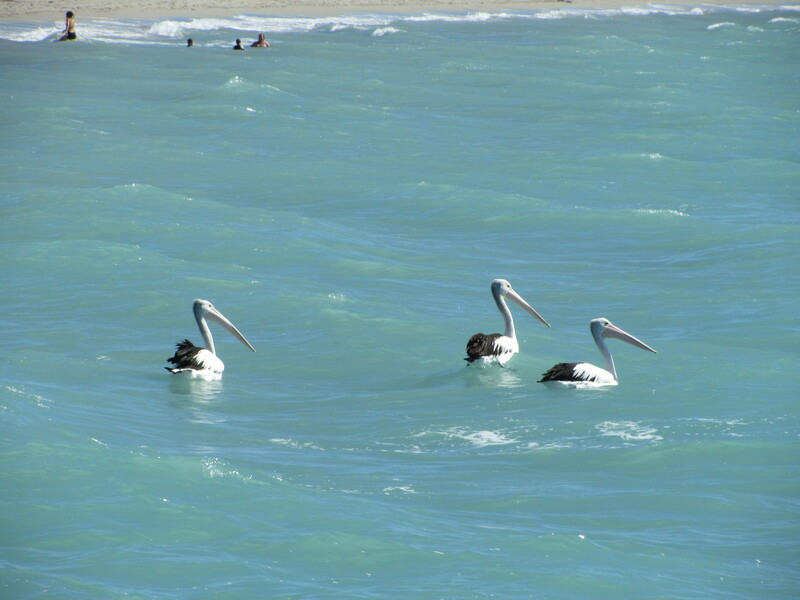 Where there are pelicans, there is always water, beach and the ocean. 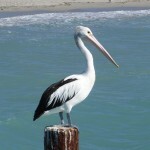 So why not boost your beach decor at home with some pelican decorations? 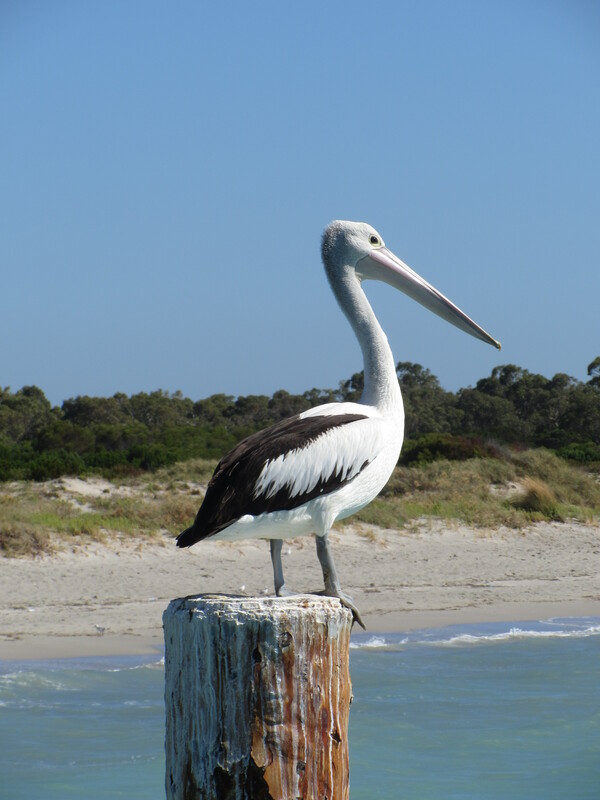 Because pelicans are so linked to everything coastal, you can also use them very easily in your beach themed home for decoration. 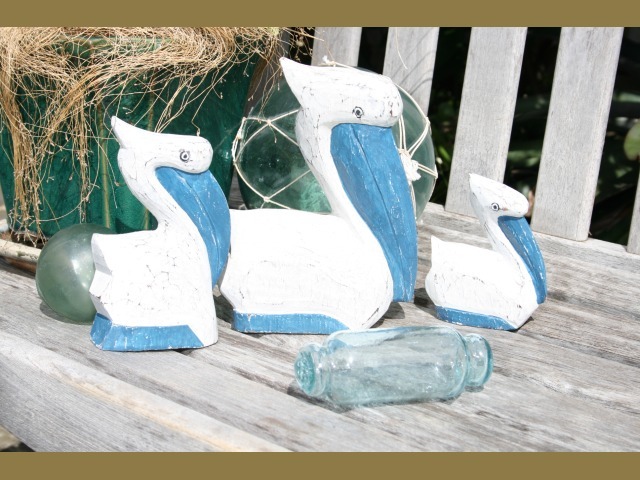 These 3 hand carved and hand painted wooden pelicans in the coastal colors of white and blue are just charming! 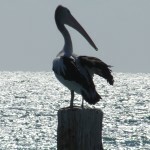 They are a perfect art piece for any beach cottage or coastal house and really make great decor! 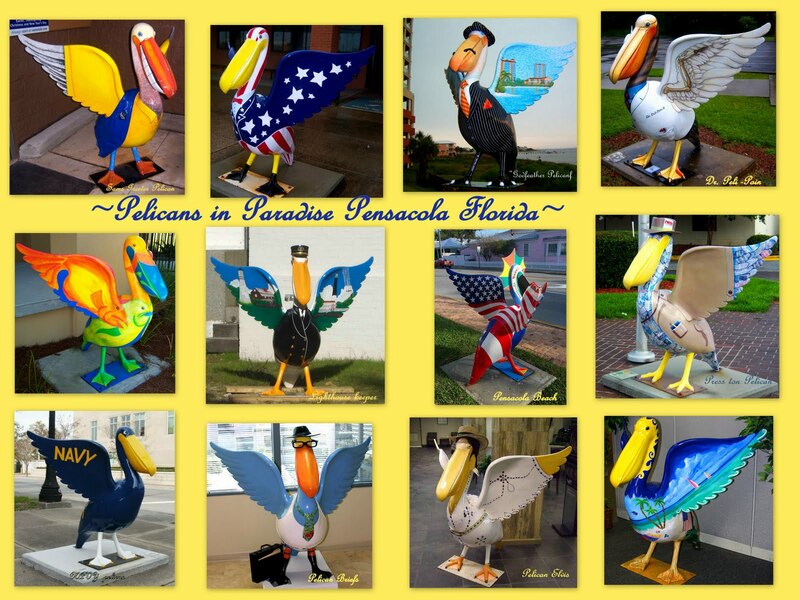 You can have them inside or out, and you can find and order them on Tikimaster; if you type “pelican” into their search box, you will find them also in the colors of yellow and red! This beautiful looking wall hanging was created by Jennifer from Englewood, Florida, who runs and etsy shop called bluewaveglass and sells stained glass mosaics, handmade art, gifts & home decor. 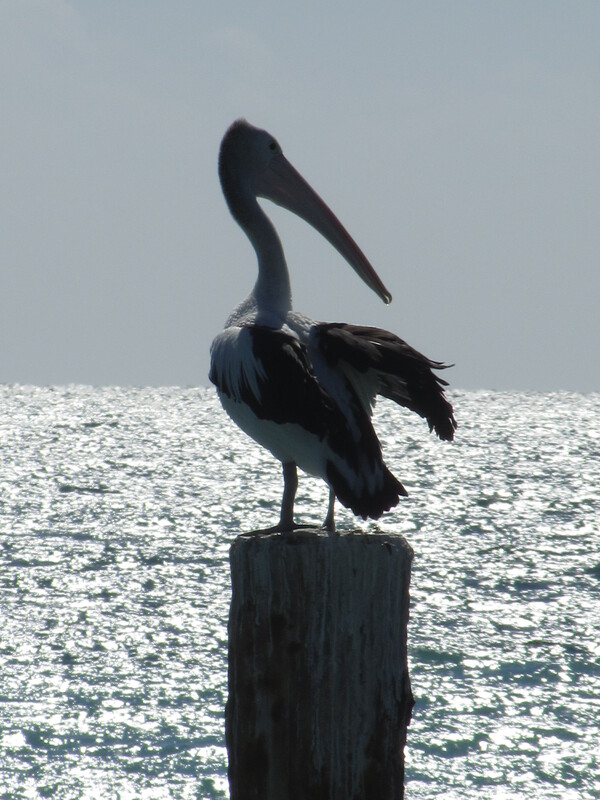 I think its extraordinary and would just look stunning in every home! 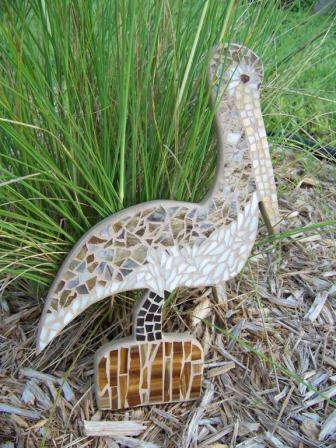 This pelican has unfortunately sold, but you might be able to contact Jennifer and maybe she can create another similar one. But I’ll be darned if I know how the helican? 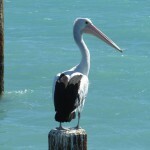 I also came across Mermaid Louie’s Blog when looking for pelican decorations, pictures and art. 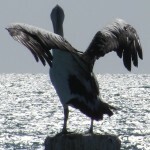 There is a town in Florida called Pensacola which had organised a public art project called “Pelicans in Paradise”. In this art project pelican statues of reinforced fiberglass were decorated by various artists and placed at various outdoor locations around the downtown Pensacola area. 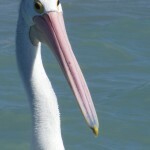 A total of 41 pelicans were commissioned for the project. 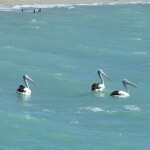 I think they are fabulous and they look like so much fun, so cheery! 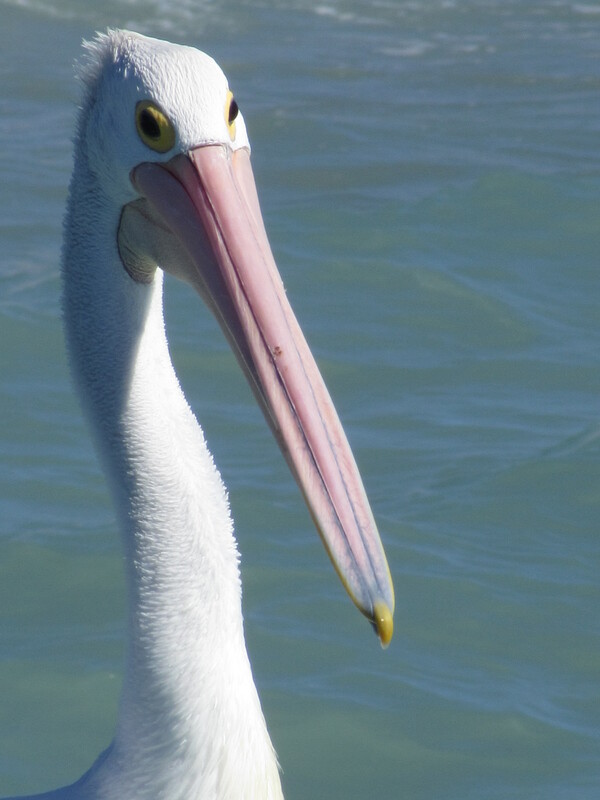 Let’s have some fun with pelican decorations!